Welcome to the official website of the Château d’Hérouville. Located near Paris, France, the Château d’Hérouville is currently under restoration. Left abandoned since 1985, the Château’s famous recording studios and facilities were re-purchased in 2015. The new owners are: Jean Taxis – Thierry Garacino – Stephane Marchi. Our aim is to re-establish the long-standing tradition of the castle to provide a hub for art and creation, and restore its original position as one of the world’s best recording and mixing studios. 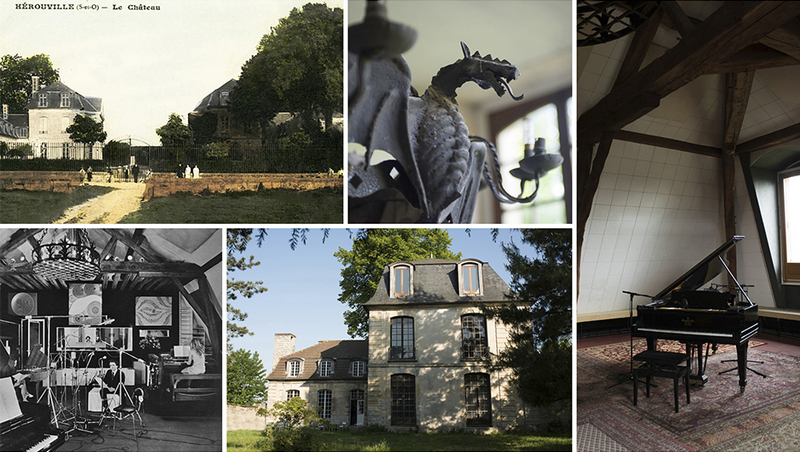 IMPORTANT NOTE: Be advised that this is the ONLY official Château d’Hérouville website. Unfortunately, illegal websites on the castle exist, in particular in the USA, but they have nothing to do with the Château‘s d’Hérouville new owners. Any money raised and any services purchased on such websites cannot be used for the purpose of either refurbishing the castle or the pre-booking of Studios spaces.